It looks like Netflix won't be the only streaming service with a Marvel series. Hulu has just ordered a pilot for Marvel's fan-favorite comic series Runaways. The story of young kids who find out their parents are part of an evil crime syndicate. They must use the powers they inherited to take on their parents. The comic book series was created by Brian K. Vaughan (Saga) and Adrian Alphona (Ms. Marvel). Deadline first reported that Hulu had ordered the pilot from Gossip Girl and The O.C. creators Josh Schwartz and Stephanie Savage. Although 'Runaways' hasn't been given a series order yet, the streaming giant did order a full season script apart from the pilot. Schwartz and Savage will serve as showrunners of Marvel’s Runaways, which they executive produce with Jeph Loeb (Jessica Jones) and Jim Chory (Daredevil) Fake Empire’s Lis Rowinski will produce as well. 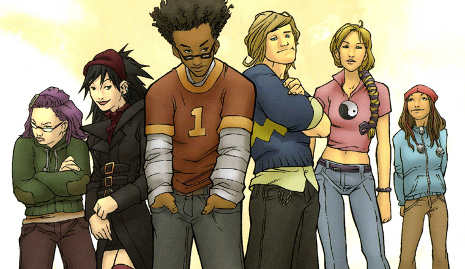 Runaways could join the ranks of Marvel television that already includes Agents of S.H.I.E.L.D. on ABC, Netflix's Daredevil, Jessica Jones, Luke Cage, Iron Fist, The Punisher and The Defenders team-up project. Cloak and Dagger has been ordered to series at Freeform and Vaughan's Y: The Last Man is in development at FX.